Every day, Bodog Poker offers a full range of exciting poker tournaments for all players. Whether you’re looking for a six-figure prize pool, an online tournament series, live tournament satellites, freerolls or Sit-and-Gos, you’ll find it all in the poker lobby. Simply browse through your options and find the online poker tournaments that best fit your playing style, any day of the week. Here’s a quick look at everything Bodog Poker has on tap for tournament players, plus some poker tournament strategy tips that will help you get the most out of your game. The best selection of poker tournaments online can only be found at Bodog Poker. There’s nowhere else that can match both the variety of games available and the deep pool of recreational and professional players that Bodog has to offer. There are daily and weekly specials to be played, not to mention some of the biggest tournament festivals on the poker calendar. Why Play Online Poker Tournaments? Cash games are a great way to spend your time, but there’s something extra-special about playing poker tournaments online. The chance to win a big cash prize adds a whole new level of excitement to the game. Tournaments are also more forgiving to newer players than cash games; the most you can lose on any tourney is your buy-in and your entry fee. And if you’re trying to build a bankroll, you can play up to 15 tournament tables at the same time when you play at Bodog Poker. Cash games are limited to four tables at a time. Bodog Poker offers a wide range of Casino tournaments across all three of our “flop” games: Texas Hold’em, Omaha, and Omaha Hi/Lo. Most of these tourneys will use the No-Limit betting structure, although Pot-Limit and Fixed-Limit games are available as well. Naturally, No-Limit Hold’em is the most popular game around, but the other games are well-represented on the schedule – especially during the Black Diamond Poker Open (BDPO) and the Golden Spade Poker Open (GSPO), two of the year’s biggest tournament festivals. Buy-ins for the Casino tournaments at Bodog Poker range from the Micro levels (up to $5) to the High stakes ($75 and above), with the biggest buy-ins reserved for the BDPO and GSPO main events. Satellites and other qualifiers are available for most of these higher-end tournaments, allowing you to win your seat for as little as $1. And you might even find some freerolls, where you can win a cash prize for absolutely no cost whatsoever. Where else can you get an infinite return on your investment? You’ll also find different styles of tournaments at Bodog Poker, each with something unique to offer. You can play tournaments with extended blind levels, or Turbos, Super Turbos, and Hyper Turbos, where the blind levels shoot up quickly. You can play tournaments with different stack sizes, some shallow, some deep. Plus, don’t miss out on the Knockout and Super Knockout tournaments, where you win a bounty for each player you eliminate. We can’t talk about tournament poker without talking about Sit-and-Gos. These are special tournaments where the game starts as soon as the designated number of people have signed up – it could be just two people heads-up, or it could be as many as 180 players. Bodog Poker is also proud to bring you the new Jackpot Sit-and-Go format, where three players fight over a prize of up to 1,000 times your buy-in. You can even play Jackpot Sit-and-Gos using your mobile device. Different types of tournaments have slightly different rules, but they all adhere to the same overall structure. Each participant pays a set buy-in plus an entry fee; the buy-ins are placed in the prize pool, then every player sits down at the table with a predetermined number of chips. These chips do not represent real money the way they do in cash poker. You can’t get up in the middle of a tournament and cash in whatever chips you have in your stack. To win a poker tournament, you have to win everyone else’s chips. As more and more hands are played and the chips are moving around the table, players will eventually run out and be eliminated from the tournament. The money in the prize pool is split among the longest-lasting survivors, typically the top 10-15% of players, with the winner getting the biggest prize of them all. The exception to this rule is the satellite tournament; the prize pool isn’t cash, but seats into a larger tournament, so the satellite ends as soon as everyone left in the tournament has won their seat. To keep the action moving, the blind levels in tournaments will go up at regular intervals, making it more and more difficult for players to sit still and not risk their chips. After a few levels, most tournaments will introduce antes into play. This forces each player at the table to toss in a few chips before every hand. Omaha tournaments generally don’t use antes, but Hold’em tournaments do, giving you even more incentive to fight for the pot. Where Can I See the Poker Tournament Schedule? Once you’ve downloaded the Bodog Poker client, log in and take a look at the top-left of the display, next to your account balance. You’ll see a menu of options including Scheduled Tournaments, Sit & Go Tournaments, and Jackpot Sit & Go. Tap or click on any of these three options to see what’s available. Schedules for the BDPO, GSPO and other important poker series will also be posted on the Bodog Poker website ahead of time so you can pick and choose which tournaments to play. 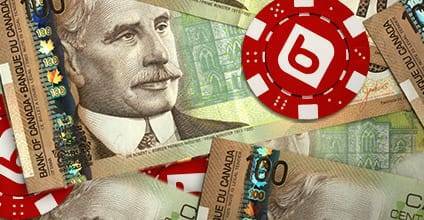 What Are the Most Popular Poker Tournaments at Bodog? Aside from the big annual poker festivals, the most popular tournament at Bodog Poker is the $100K Guaranteed, one of the most important Sunday majors in the industry. This tournament is played every Sunday at 4 PM ET, with a buy-in of $162 and a minimum of $100,000 guaranteed in the prize pool. You can also satellite your way into the $100K Guaranteed; to view all the available satellites and qualifiers, choose Scheduled Tournaments from the menu and select “$100K Guaranteed” from the Tournament Type list. If there’s one piece of poker tournament strategy that stands out above all the others, it’s this: Be patient. Tournaments reward survival more than accumulating chips. Yes, you have to take risks and avoid getting “blinded out” of the tournament, but unlike cash games, the chips you win aren’t as valuable as the chips you lose. Think of it this way: Folding in a tournament has extra value because it gives other players the opportunity to go bust before you do. Having said that, poker tournaments reward players who practice selective aggression. It’s all about choosing the right time to strike. One of the biggest determining factors is your stack size relative to the blinds. If you have a stack of 100 big blinds, you have the freedom to make the same moves that you might in a cash game, like 5-betting pre-flop, or triple-barrel bluffing. Once your stack gets down to about 40 big blinds, your options are much more limited, and at around 10-15 big blinds, you’re pretty much stuck going all-in or folding if you want to have any leverage on your opponents. Given the way the blinds go up, it’s always a good idea to break down a tournament into different stages and play accordingly. 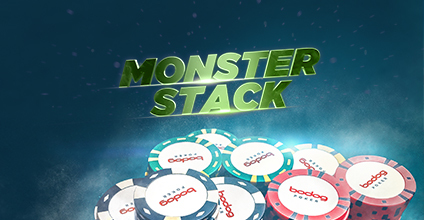 When you have a deep stack in the early levels, you can play any style of poker you like, although survival still takes precedence over chip accumulation. In the middle stages, ramp up your aggression level and try not to fall below 40 big blinds. Once you get close to the money bubble, you have a decision to make: If you have a short stack, but not the shortest, you might want to fold and hope someone else bursts the bubble before you do. If you have a big stack, you might want to be extra-aggressive and take chips from all those shorter stacks who are folding. As you get closer and closer to the end, the money jumps will get larger and larger. This makes patience even more important – unless you’ve got the shortest stack, in which case you need to get those chips in the middle as soon as the opportunity arises. And once you’re at the final table, don’t forget to open more and more aggressively as the number of players gets smaller. Once it’s heads-up, you should be opening almost all of your hands from the button, and calling almost all of your hands from the big blind. That’s tournament poker in a nutshell. You’ve learned about the different games you can play at Bodog Poker, and how to play them right – now go and give them a try. Start with play money games by toggling the Practice mode, then jump in and play for real money once you’re ready. Many of the best players in the world got their start at Bodog, and still play online to this day. Join in now and show them what you’re made of.